Doodle Crate is a subscription box which “inspires young makers to learn new art and design skills and express themselves creatively.” Doodle Crate is geared toward the 9-16+ age group, but anyone can use and have fun with the DIY projects inside each crate. 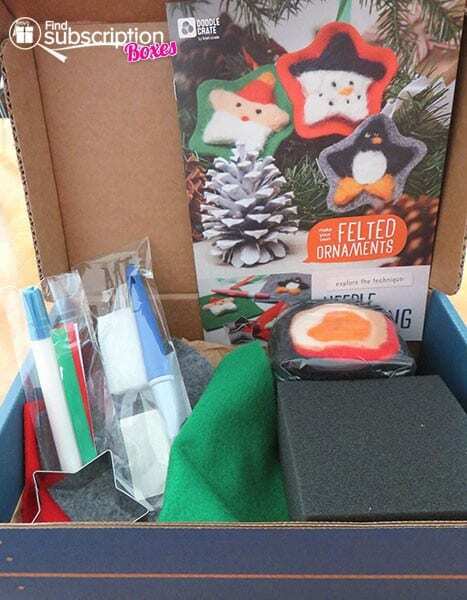 With today’s Doodle Crate review, we’re reviewing the Doodle Crate Felted Ornaments Crate. 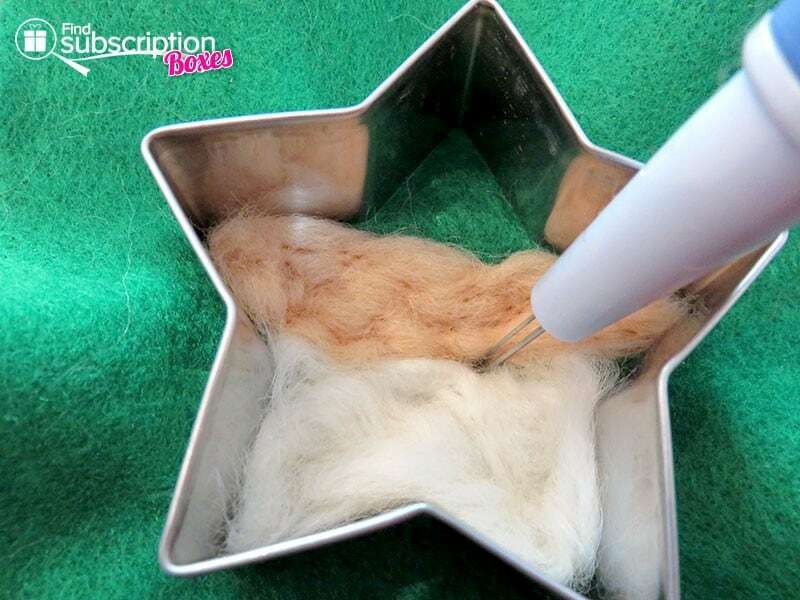 Our tester has always been interested in felting, and this kit makes it a very simple process. Making ornaments makes it a great holiday project. 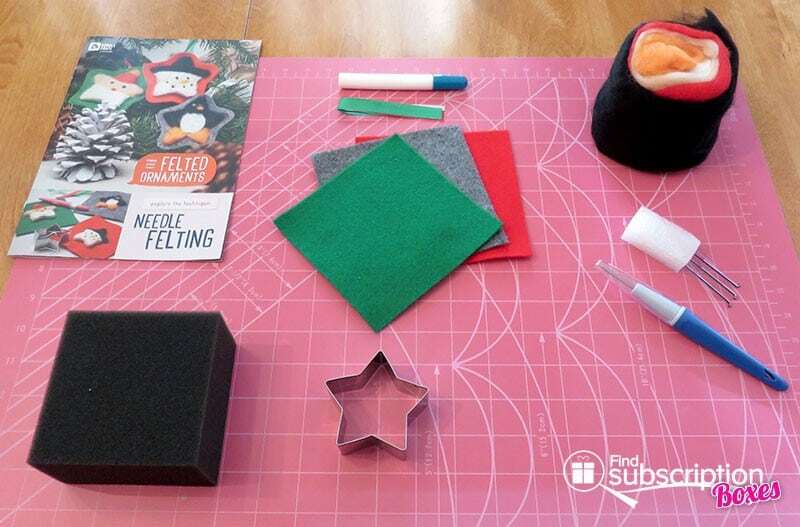 Upon opening the Doodle Crate Felted Ornament crate, our tester found three different colors of felt sheets, a felting pen with extra needles, wool roving, a star cookie cutter, three different colors of ribbon, a glue pen, and a foam felting pad. Plus there’s a handy instruction guide to lead the tester through the felting, and it gives educational information on what felting is. You’ll want to have a pair of scissors on hand to trim the ornaments and for the wool roving. 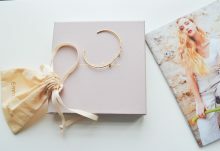 Make sure you have a work surface which is covered. Our tester used a self-healing mat, but layering newspaper would protect the surface of a table, too. The felting needles are extremely sharp and the cap should be on the felting pen when not in use. Use care and a grownup should supervise. 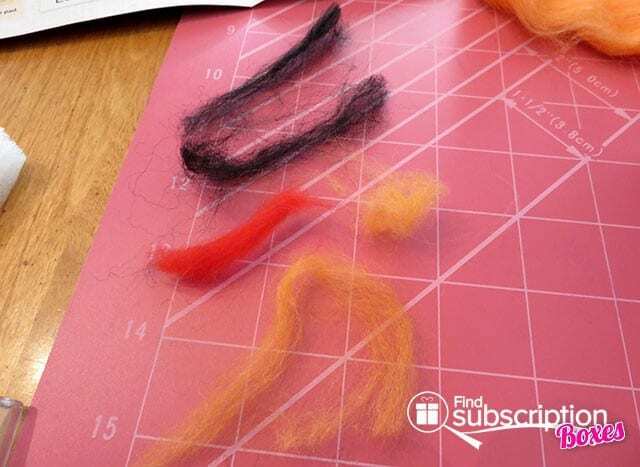 The needles will damage most surfaces, so felting must be done on the felting pad. The needles have little barbs on the end and that’s what tangles the wool fibers together to make the roving into felted material. Set up the work area with the supplies. Unroll the roving and separate the colors. 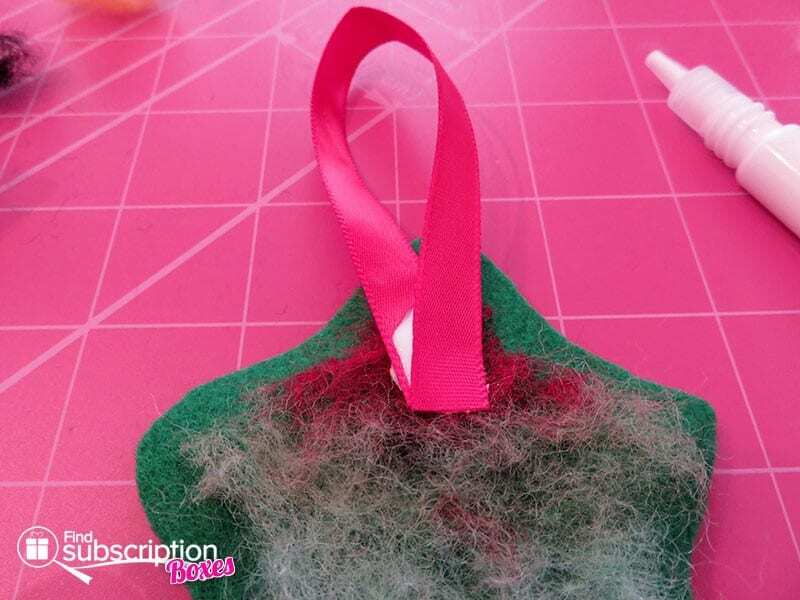 Pick your ornament project, place the felt backing sheet on the felting pad, then put the cookie cutter on top of the felt sheet, and follow the step-by-step directions for the order of the roving colors. 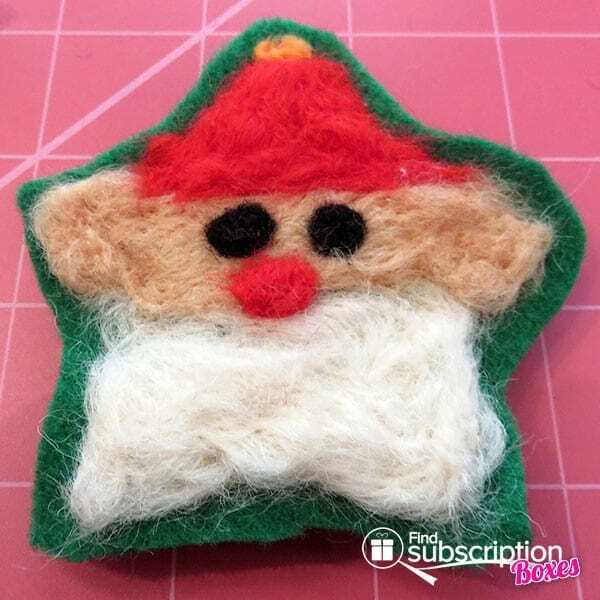 Hold the ornament at the bottom to protect your fingers, fill with the roving, and start the felting process with the needle pen. Start with a little, and you can always add more roving. The needles will work the roving as you poke it through and attach it to the backing. No need to poke too hard. The star cookie cutter helps keep the shape of the project. Just a tiny bit of roving is needed for pompoms, eyes, and other parts of the face of each ornament. Occasionally a needle will break during the felting process, carefully remove and replace the needle. A grownup should supervise this or assist. Dispose of the broken needle safely. The ornament is done when you’re happy with the finished product. 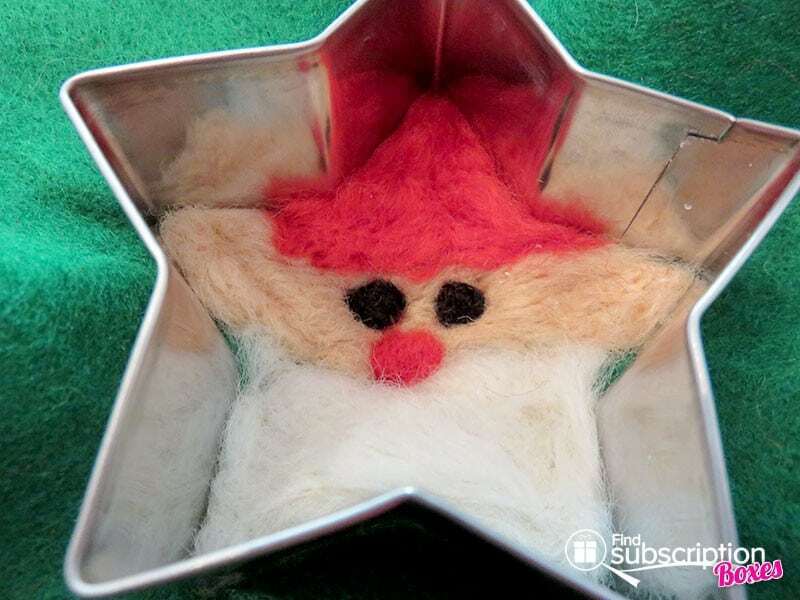 Just take off the cookie cutter and gently remove the ornament from the felting pad. Trim the backing of the ornament leaving a decorative border around it. Turn it over, pick a ribbon, and using the glue pen, glue the ends of a ribbon together, then glue it to the back of the ornament. Let it dry overnight before hanging on the tree. It’s really that simple! You’ll have a Santa, Penguin, and Snowman ornaments to add to your tree or give as a gift. 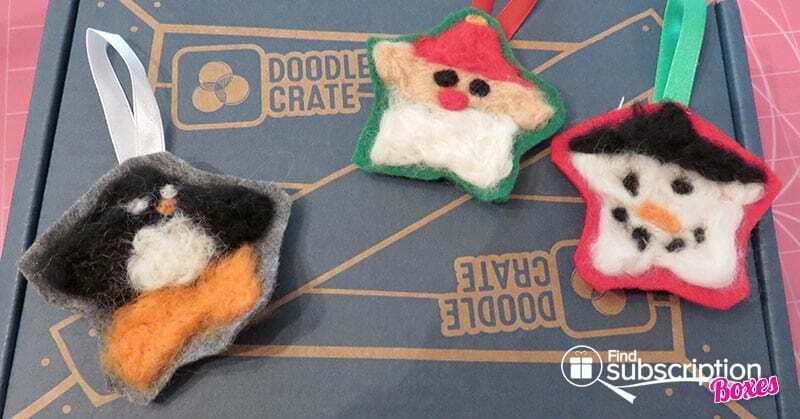 The Doodle Crate Felted Ornaments crate provides enough backing felt for three ornaments, but there’s plenty of roving to make future projects with supplies easily found at a craft store. You’ll probably want to buy more needles for the future, too. 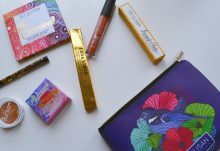 It’s a fun project our tester enjoyed doing and is looking forward to doing again in the future! 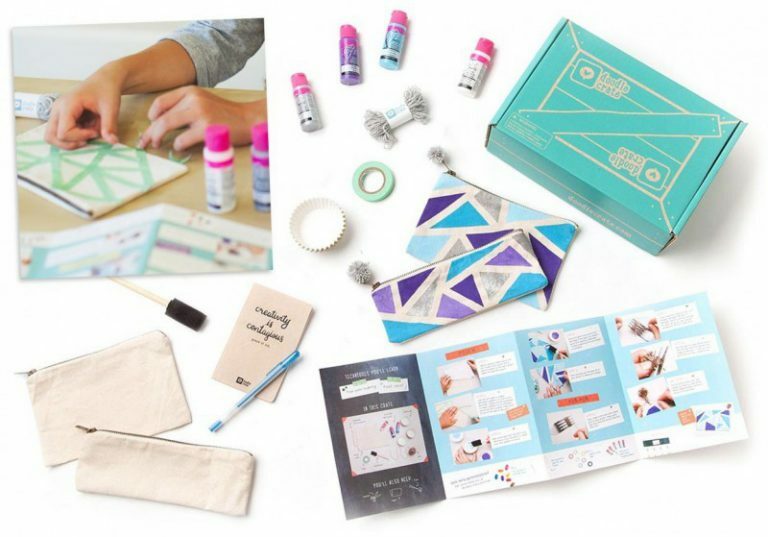 The Doodle Crate website has a lot of project ideas on a variety of social media sites which makes it a great resource for all your DIY craft projects. HURRY! December 18, 2015 is the LAST DAY to save 50% off your Kiwi Crate Shop Order. 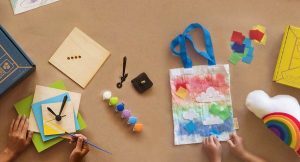 Pick up the Doodle Crate Felted Ornaments Crate or any other Kiwi Crate project, and save 50% off your entire order with code SHOP50.